Instagram is an android application that allows its users to build powerful social network in order to gain more sound rewards from it. One such finest reward that you can avail by being an ‘Instagram profile owner’ is get hired to your favorite job. Whether you are a newbie or an experienced professional, if you are still waiting for your dream job then this is an excellent source to hunt for it. So, now that you have known about this benefit of Instagram, you will surely wish to create your own profile. But if you want to generate the profile to search for your preferred job then you should follow some great tips that are outlined below. These tips will not only provide you with some more information about the application but will also definitely help you to successfully employ Instagram for your job hunt task! Instagram can be used as an excellent personal branding machine. If you have interest in a specific field then you can post your pictures related with similar tasks done by you. For instance, if you want to be a chef then you can post your images with different dishes made by you. If you really want to grab your dream job through Instagram then you should brand yourself effectively and in right direction so that you are successfully able to capture attention of your preferred company. You can use this personal branding machine for your career search. If there is single or multiple companies that you would like to work for then you need to follow and stay connected with works they are doing. You can even search for company value or non-profit organizations connected to that company and follow their work to show your interest about that entity. Moreover, it is also better to follow specific departments or people within the company. This will not only show your interest but will also help you to develop more sound relations with the employees or departments that you have followed. Twitter, LinkedIn and Facebook are reliable destinations where you can follow professionals of your favorite firm. Utilizing Hastags is one of the most efficient ways to bring notice of your preferred company towards your Instagram account. In this case, you can use industry keywords as hashtags in order to describe the picture you have posted. If you have attended an important event of the company then you can post such picture and hashtag it with same keyword that the company has used to promote the event. In this situation, your photo will become more searchable for those who are keen about the event. So, try such things as you never know who might end up looking at your photo! If you are seeking for direct attention of a company, then you can use this by tagging that company. This is blunt way of self promoting on Instagram, so you need to be sure that you post only relevant stuff and portray your correct image in front of the company. In order to be safe in this context, it is better you do a little company research and utilize applicable professional terms when you tag the company in post. Once you have successfully followed your favorite company and have hashtagged accordingly then it is now essential to connect with it. An excellent way to begin this is to comment on their instagram photos. You can also ask questions to stay in touch with current employees. Even, you can answer any question posted by them. 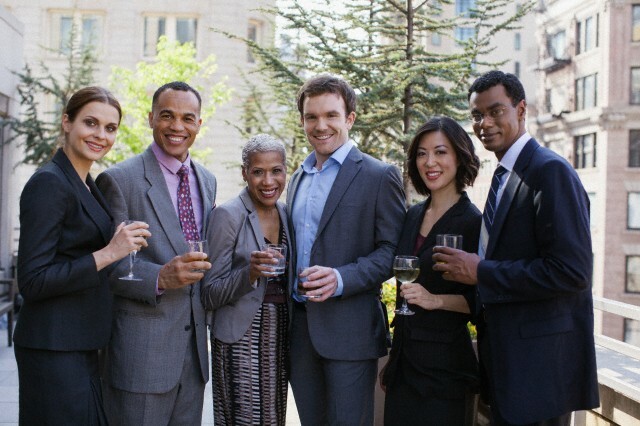 This will also help you in creating a positive impact on employees of the firm. This is the simplest and most eminent way to boost your connection. But you need to make sure, that you post only relevant context to the company’s photo or video. You need to comment in a way that shows your interest and knowledge about the company in which you desire to get hired. Try commenting in such a way that you are able to illustrate the organization that you are fit for the job opening they are offering. 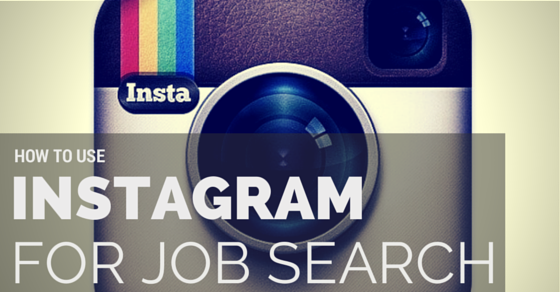 Instagram is more of a visual platform than social media platform for job searchers as well as companies. So, it provides you with the opportunity to showcase your talent and intelligence in form of different creative photos or even videos. You can upload your pictures with other known employee of a company or can even frame a video showcasing what all you can do related to that job. This will be of more help if you belong to the creative world such as fashion, media or communications. But no matter what, make best use of it and try to portray your maximum skills and qualities through different pictures. Instagram holds interesting partnership venture with FourSquare. For this reason, whenever a user posts a picture, then they have option of tagging it to a particular location. In case you want to look for a job locally, then this can be of great help to you. You can search for a relevant photo and click on blue link on it. This is the location tag which will take you to all photos posted under that location. So, this way you can search for sounder job opportunities within your preferred location through Instagram. Whether you are searching for a local job or an international vacancy, if you have opened an account on Instagram, then it is essential that you remain active on it. By being active you can get to know about current contests or competitions organized by your liked company. Besides this, it also offers you the opportunity to generate more followers for your brand. This will help you to be updated about current openings and opportunities available in your most wanted industry. This is again very important tip to remember if you truly want to secure a rewarding job for yourself through Instagram. You need to make sure that you do not leave your bio incomplete as this does not impress professionals at all. You can pick couple of keywords that best describe you from SEO. You can also search for attributes related to your liked industry in order to outline most impressive bio. Since, your Instagram account is created for finding most suitable job so you must make sure that you upload only professional and work relevant pictures to it. This is not a chatting or ‘friends’ account, so avoid uploading unprofessional photos as this can create a negative impact over the company. If you want to secure most fruitful rewards from your Instagram account then it is better that you link it with other social networks of yours. You can link your account with Twitter, Facebook, LinkedIn and Pinterest. It is not only essential to post pictures, but it is even more essential that you post pictures that are relevant to your dream company. For example, if you want to do marketing for a coffee shop then you can post your picture with that coffee. So, depending on what you want to do and which industry you want to go, you must post photo according to that only. Companies are consistently organizing contests and programs in order to generate more potential followers on Instagram. If you are too much interested for a firm then it is wise that you regularly take part in all online competitions organized by them. This will help you to have more positive impact over the firm and will also increase your credibility and fame among current employees of that company. It is not necessary that you post a picture or something about you every day on your Instagram account. If you post a lot then this may lead to saturation and may be the employees or the company management remains no more interested to know about you. 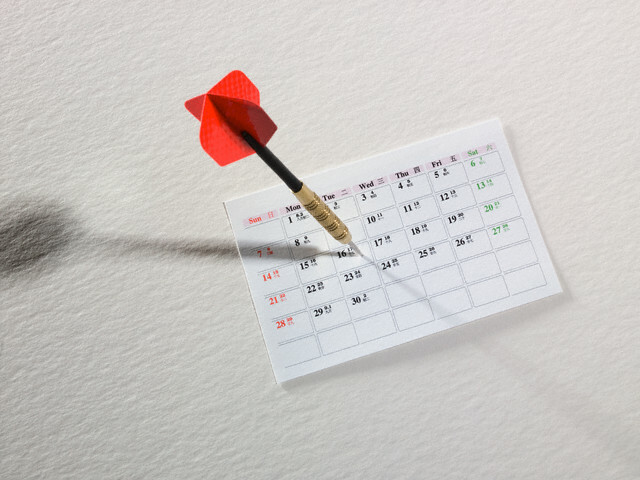 It is better that you create a schedule and decide what you want to post. This will help you to remember when and what to post and will also maintain positive consistency for your job hunt. The Instagram application offers multiple filters with which you can easily change the look as well as feel of your photos. So, if you want to attract your dream company through your professional images then try to make best use of these filters. Just like your other social networking accounts, even Instagram profile requires regular or timely updates from your side. Since, you are trying to become a well known brand for a specific job through Instagram, so it is vital that you upload updated information about yourself on your profile. But be careful to not include any unviable information in your account as this is purely for professional front. If you want to know about the current status of your brand on Instagram then this is easy. This is because the application offers plenty of tools with which you can judge your present profile status among followers. Curalate and BitzMetrics are some of such tools that can provide you with detailed insights. You can search for likes, comments for your photos on Instagram with help of these tools. It is better that you make use of such tools in order to know that what you are posting is liked by your dream company or not. You should always try to expose something new about yourself. In addition to this, it is also essential that you maintain a feasible consistency in your posts so that you don’t miss out an important thing or overdo it. In such state of affairs, the best way can be that you post different kinds of photos related to your interested profession and at the same time comment on your liked company’s photos regularly. Creating an adequate balance will work best! Finally, if there are any kinds of comments received by you from management or employees of your dream company or by any well known individual, then you must surely revert to it. Ignoring such comments can show that you are disinterested. Even you can also give friendly rewards for positive comments received by your fan followers. With help of these amazing tips you will surely be able to create an account of Instagram with which you can clearly show your potential employees the kind of employee or intern you would be for their job. This is more visual prone and creative way to impress professionals on other sides. So, follow these tips and try making best use of Instagram in order to get hired to your desired job profile. Next articleWhat do you do when you have multiple job offers?